A week past the Durga Puja, the City of Joy still reels in a festive mood. With the very same mood I want to share one of my looks for the pujas. This happens to be one of my personal favorite. It reflects the rich cultural heritage and long evolving traditions of Bengal. Yes, I’m talking of the quintessential “Shaada Sari Laal Paar” , the red and white sari. This is generally worn by Bengali women on Ashtami or Dashami morning. Choose the type of red and white sari you want to wear. Generally a heavy sari works well. For a less elaborate look you could opt for the cotton based saris, like Taant or Dhakai Jamdani. I’m wearing a Kanjeevaram. 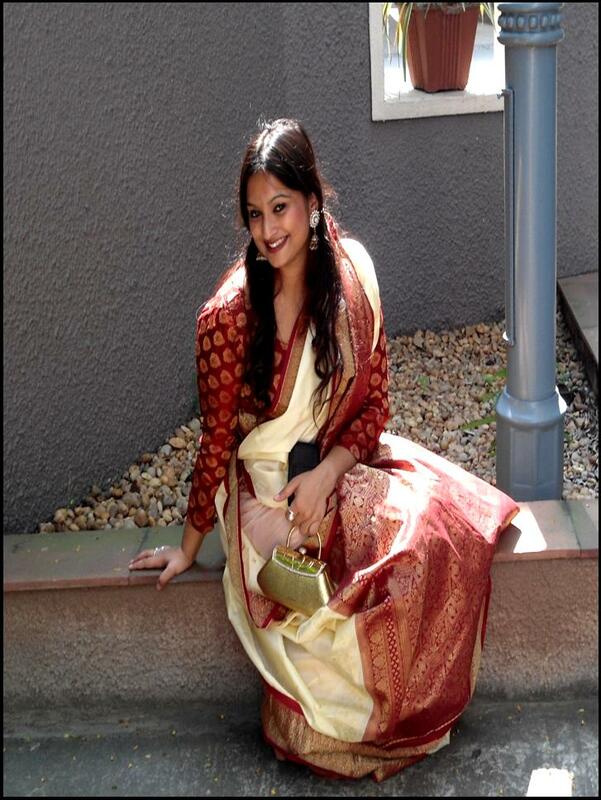 I have teamed the sari with a brocade blouse of carrying an off-beat pattern. 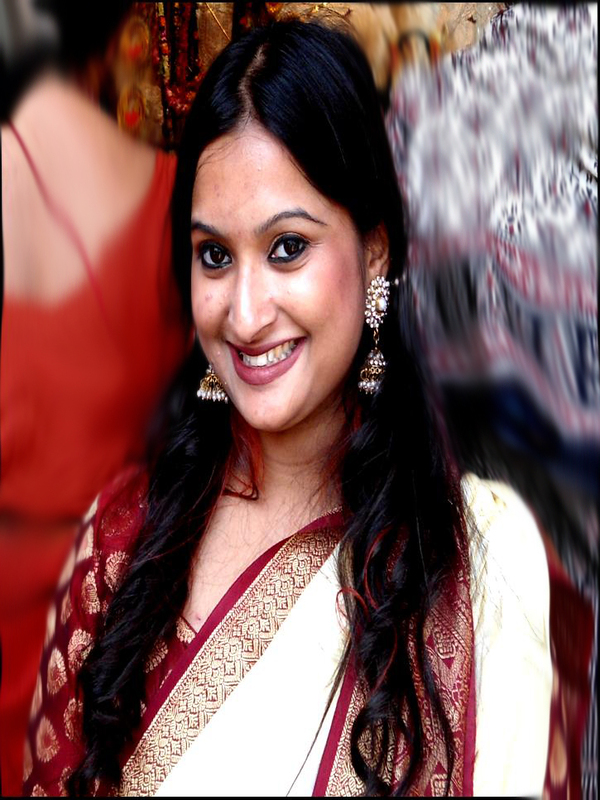 The sari has been draped in the authentic Bengali style. 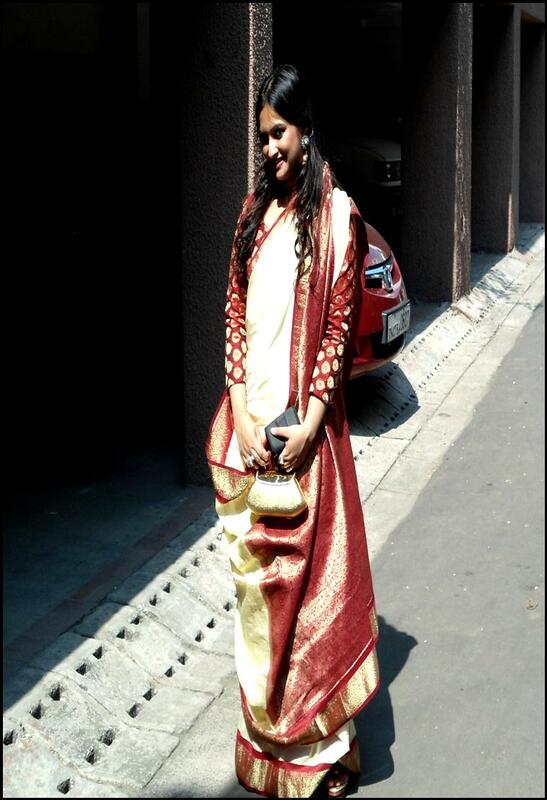 For details on the draping style refer to my post Drape it up the “Bangali” way. For the jewellery, keep it traditional. Gold jewellery looks best with this attire. 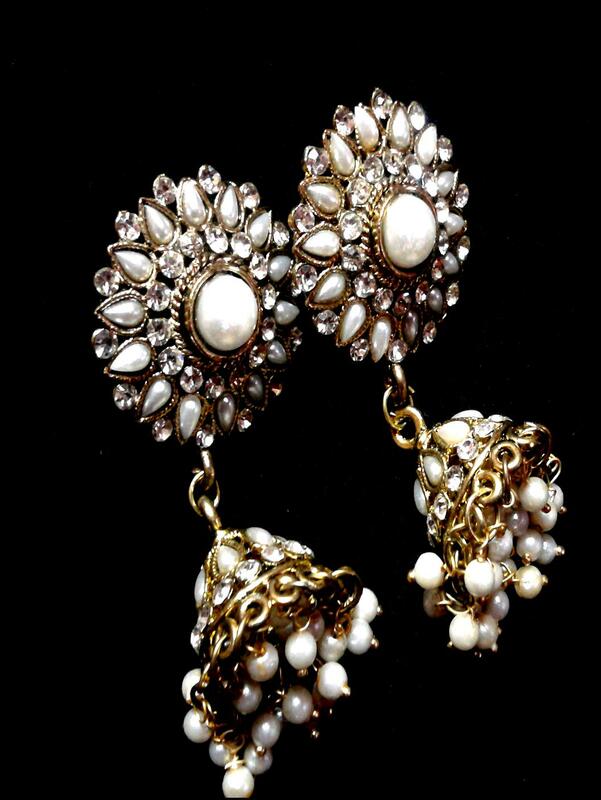 I opted for a pair of white kundan jhumkas. For the ultimate effect, curl your hair. Do up your eyes heavily. This will complete your look as the Bangali Diva. And last but not the least, for the final touch, keep that gorgeous smile on and stay stylish. Do not forget to leave your comments and suggestions.